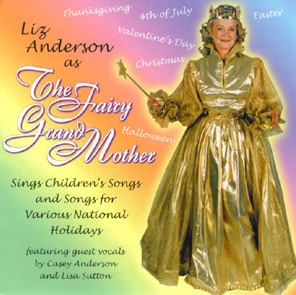 'The Fairy Grandmother' sings songs for various national holidays - you will love. 'Chelsea The Easter Chicken' for Easter and 'The Candy Goblin' for Halloween. Casey makes his appearance here as 'Tommy Turkey', 'Grandfather Time' and 'The Knight In Shining Armor'. Also making her first guest appearance is Liz's Granddaughter - Lisa Sutton - singing 'Lisa The Little Farmerette' about all the animals she has owned, complete with sound effects. 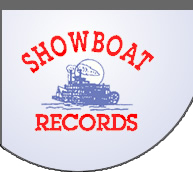 Click the song title to hear a clip in Windows Media Audio format. 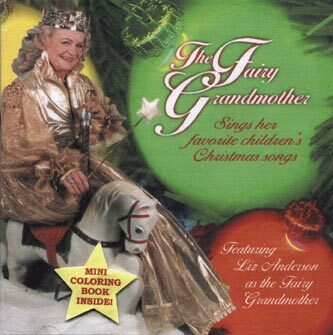 'The Fairy Grandmother' sings her favorite children's Christmas songs. You'll enjoy hearing about 'Jeannie The Little Reindeer Girl', 'Christopher The Christmas Seal', 'The Little Christmas Angel' and six other Christmas songs that children will love. Casey Anderson makes a guest appearance singing about the 'Magic Candy Machine'.